As is the trend with all online casinos, Ocean Casino is expected to offer bonuses to all its players. There are two bonus options that are obviously expected: the sign-up bonus and the cashback or the loss rebate bonus. However, there could also be bonus codes available that will give players access to better bonuses as an even greater incentive to sign up to the casino. All the player needs to do is type in the bonus code when activating their account and they will automatically receive the extra bonus. 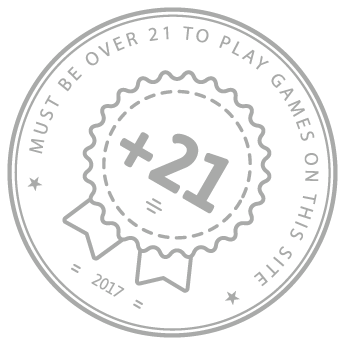 With most bonuses, there is usually a 72 hr wait before a player can access the bonus. There is usually also a maximum cash back amount and a maximum percentage offered back to the player in case of a loss rebate. It goes without saying that a casino must attract new sign-ups by offering a sign-up bonus. Offering the sign-up bonus has become an effective marketing tool for casinos, and Ocean Casino will obviously take up this tool and use it effectively. The question that remains is how much they offer. Having closed its doors in 2014 the casino is expected to come back with a bang and will for sure offer a higher sign-up bonus than all of their competitors. Also being a new site the sign-up will make an effort to ensure that new clients get a 'test ride' through the casino's site to encourage them to make their first deposit, meaning there’s likely to be a no deposit bonus in place. Nothing leaves the casino's management smiling as when a new customer makes the first deposit. This is because the management knows that the customer's first impression of the site is great and they’re willing to trust the site with their money. To attract the customers even more, online casinos offer a first deposit bonus which acts as a thank you note for choosing to wager with the casino. It is also to give customers a cushion to maneuver through the site using the bonus to test all the games and develop the preference. Ocean Casino is expected to jump on this wagon and offer a first deposit bonus to all its new members. The amount they will offer, however, will be determined later this summer. Ocean casino confirmed shortly after the successful transfer of ownership from TEN, that it will be partnering with GAN to provide software solutions that will run the online casino. The software will facilitate a real money online casino contrary to the previous owners who were unable to procure a license to power through their real money casino objectives. Although GAN is not a New Jersey-based company, it currently offers software solutions to Betfair a New Jersey-based online casino. This will make it easier for the software provider to take up Ocean Casino software operations since it has already been vetted and approved by the state. The next step to actualize Ocean's online casino is to acquire the state license which is set at $400,000 and a $500,000 annual renewal fee. Providing a Mobile app is key for online casinos to expand their customer reach, and this is expected to be the case with Ocean Casino. Looking at the trend of their expected competitors in NJ, they have all launched mobile apps and have subsequently increased their revenue. Ocean online casino is expected to launch two app versions that will cater for the iOS and the Android device versions, to aid the heavier PC version. The casino has a great opportunity to set the pace, by providing a state of the art app that will not only have great tech advancements but will also perform exceptionally. Hints have shown that the casino's management is working tirelessly to achieve this goal. Ocean casino's management has been quiet on whether there will be networks they are willing to partner with. Network partners over the recent days have been seen to take center stage, with powerhouses merging to operate under one license. Many advantages are experienced when a casino partners up with an already existent casino. The benefit includes lowering cost both operational and administrative as well as ease of marketing. Recent partnerships include PartyPoker and Pala casino partnering with Borgata Hotel Casino & Spa, SugarHouse and Betfair operating under Golden Nugget. However, Ocean Casino will most likely operate under its own license and this is due to its ability to apply on its own mostly because it is an Atlantic City land-based casino. Game selection is key for any casino; it's what players visit to see and play, it's the basic service offered to customers. For Ocean Casino, the game selections can only be guessed, but the common and most popular games with an approval rating of 90%+ are expected to be present. These popular games include the main casino trifecta that is the slot games, live casino games and the table games. In this list, players can expect the Bonus Poker, Deuces Wild, Double Bonus Poker, Jacks or Better and the Double Double Bonus Poker. Other popular games include blackjack and the roulette. The casino will also need to be creative and offer new exciting games that are not popular but could be if packaged in the right manner. All online casinos have VIP programs or clubs and Ocean Casino will not be an exception. Players can expect a comprehensive VIP program to cater for the high rollers. However, all casinos know that they have to cater even for the medium and small scale wagers. With that in mind, we can expect Ocean Casino to offer a loyalty program for all the players. This will include promotions, free tickets, and seasonal offers or draws. Ocean Casino has to come guns blazing and offer exclusive new programs to cater for the VIP, including private lounges, amazing prizes, exciting promotions and exclusive customer service. The key goal is to make a profit, and good, well-designed programs will go a long way towards reaching profit goals. With the daily innovations in new ways to transfer money, online casinos are taking advantage of these innovations to widen the net on their client base. Ocean Casino is expected to incorporate as many deposit methods as possible by approaching all popular money transfer companies and bringing them on board. Some of the deposit methods players can expect include Visa, Bank transfer, Neteller, Check, PayPal, Skrill, Prepaid cards, cash at Ocean resort cage, and Electronic checks among many more. As for withdrawals, players will have to wait for the launch to know which methods are provided. However, the same methods for deposit may be applied for withdrawals. The casino will probably ease the process of deposit and withdrawal and avoid the 'smokestack' experienced with their competitors cashiering process. Around the clock customer support is expected from all casinos, and Ocean Casino will need to employ this quality. The casino will have to recruit the right people and offer the best training to all its support staff to ensure customers needs are well met. Technical teams have to be on standby to solve any arising issues in a fast and calm manner in case of a delay or system failure. The goals are to create trust with customers that even when things seem to be going wrong, a customer knows that it will be fixed. The casino's customer support is likely to be embedded in a trio of E-mail, live text support and Phone chat. The phone and email will be provided on the site's homepage.